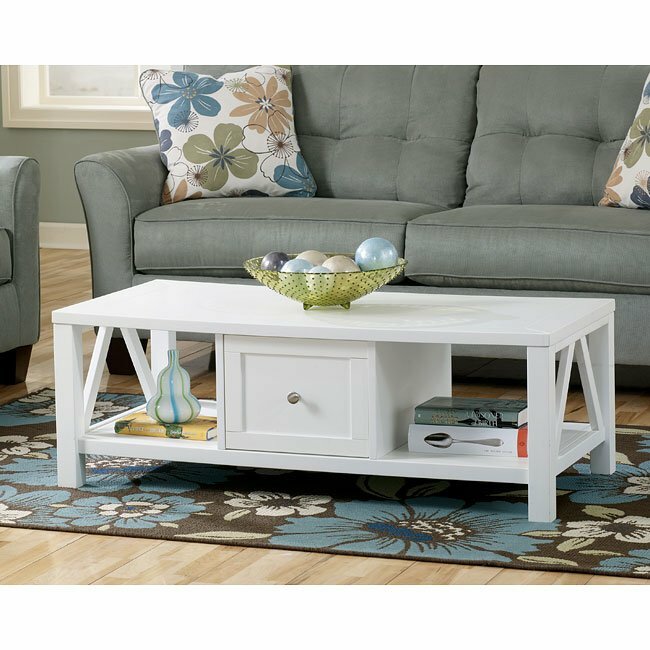 Top Seller: Norah Living Room Set by Coaster Furniture! The Norah Living Room Collection by Coaster Furniture at FurniturePick creates a modern blend of both old and new looks. The classy scalloped back, solid wood legs and nailhead trim complement the vintage patterns on the chair and accent pillows to create a distinct look. 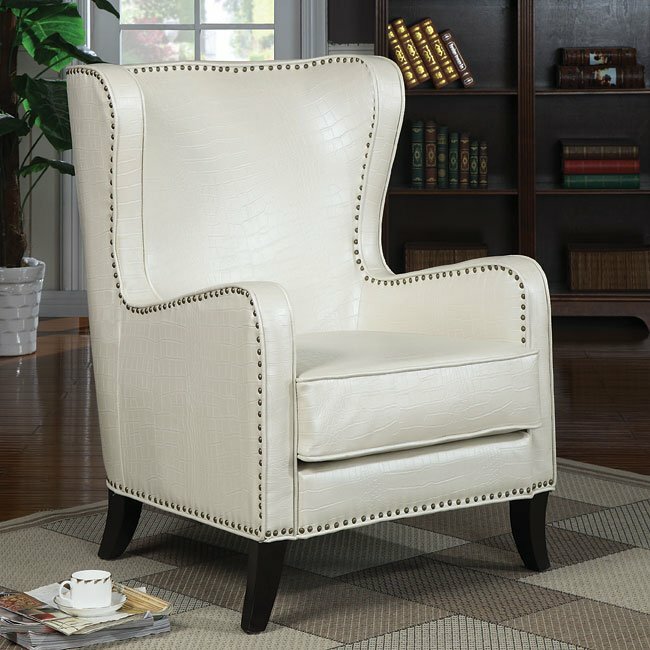 Plush rolled arms and pocket coil seating are wrapped in a comfy oatmeal linen fabric. Did you purchase Norah Living Room Set? Consider leaving a review and let others know more about your experience. We Appreciate Your Feedback! One of the newest additions to our living room furniture line, is this black or white Kayson Sectional w/ Consoles by Coaster Furniture, perfect for creating your very own at-home theater. 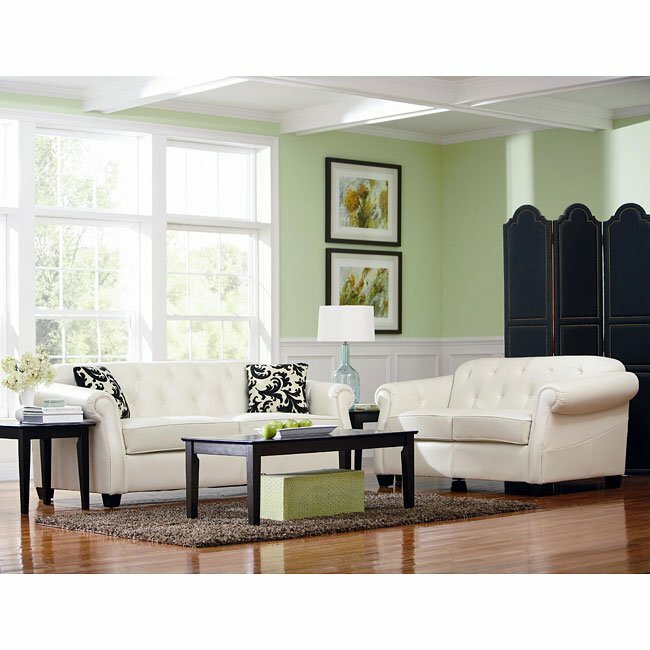 These large seating areas and plush sofa backs make this piece super comfortable and relaxing. The center dividers and built-in cupholders are convenient and perfect for a movie night. It’s time to incorporate a workspace into your every-day life with the help from FurniturePick. It’s time to be completely comfortable while computing and accomplishing daily tasks. The Garson Home Office Set by Coaster Furniture features functional pieces that offer an appealing traditional design with a dark brown finish complemented by light brushed accents. Easy to open glide drawers, wire management in the desks, CPU storage in the credenza, and task lighting in the hutch all add to the ease of use you will appreciate as you stay organized and productive at home.